Les, you’ve been a disappointment. An outstanding observation after 4 years of work with a franchisee association. 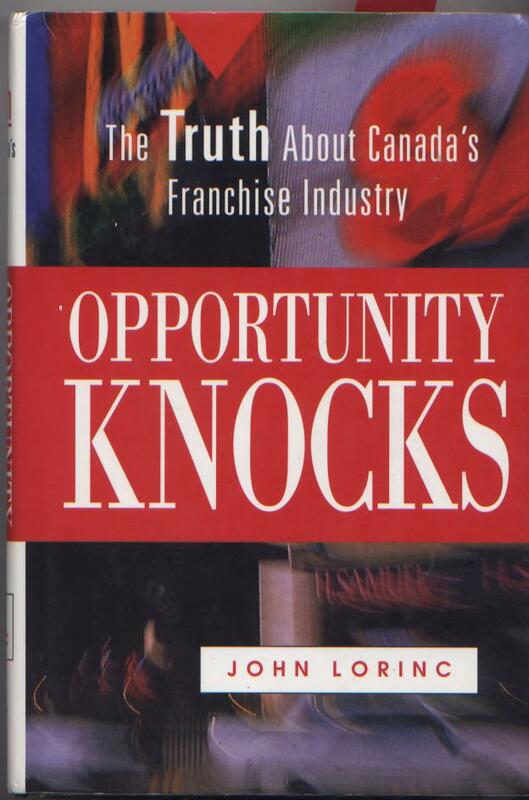 John Lorinc wrote the book on franchising from a franchisee’s investor viewpoint. I’m glad to see it is still available to buy online and is in many Canadian libraries. The hidden banking side is revealed in Chapter 4, The 90% Solution: Franchise Economics, some of which I excerpted in a WikiFranchise.org post. Does all this matter to you? Yes, it does. In 1993, in the wake of vigorous complaints by small-business owners that Canadian banks were reluctant to finance them, Ottawa raised the ceiling on loans guaranteed by the Small Business Loans Administration to $250,000 and its guarantee rate from 85 per cent to 90 per cent, sparking a bank lending rush to franchisees and shifting the risk of franchise investments onto taxpayers’ (your) shoulders. The Risk: Only a fraction of the Liars’ Loans are ever claimed by the banks, thereby grossly understating Industry Canada’s default statistics (Franchised v. Non-Franchised loan performance). The franchisee thinks he signed a government-backed loan but it never gets registered as such. 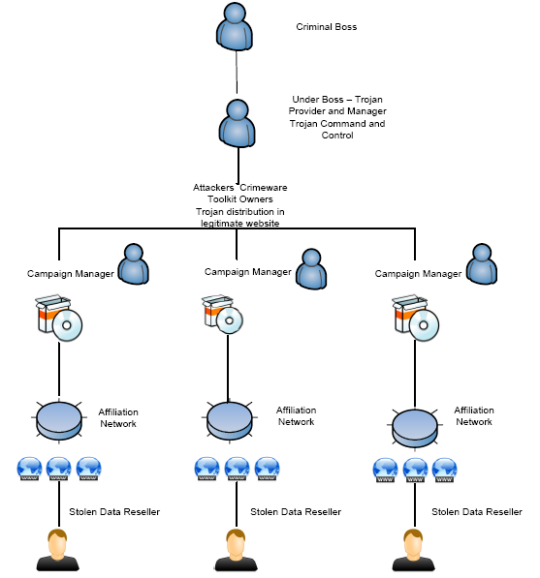 As their bankruptcy, loss of life savings, marital and family breakdown escalate over the life of their 12 to 18 month franchise career, the franchisee NEVER looks to Box 9 of the CSBFP loan application form (Projected Sales ) as the source of their trouble; where the lie is put into the “Liars’ Loan”. The proceeds of these engineered-to-fail loans is split upfront by the franchise banker with the bank, banker, franchisor and sales agent. If questioned, the bank shreds the paperwork and waits for the lawsuit. And, seriously, how many of these Immigrants as prey losers could or would ever sue a Schedule 1 chartered bank? What’s more, some banks and franchisors have put the SBLA program [predecessor government guaranteed loan program] to questionable use during foreclosure actions against franchisees, says one former owner who has been through the process. When a bank calls a loan against a non-performing franchisee, the 90% guarantee effectively relieves the bank’s receiver from trying to get the best possible value while disposing of the owner’s assets. 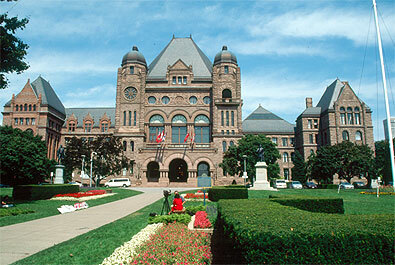 With most of the loan covered by the Canadian taxpayer, the assets – fixtures, kitchen equipment, inventory, etc. – can be sold quickly at a deep discount, possibly below market value. This allows the franchisor too step in and buy back the property at better-than-firesale prices, thus generating a windfall profit when the store is later re-sold to another franchisee. An important work that, depressingly, is as relevant in 2012 as it was in 1995. Disclosure: My lol pecuniary interest here and here. Sunshine is the best disinfectant — including franchising disputes. The franchising industry (legal bar, banking, franchisor, suppliers) is highly organized. The franchise bar reigns supreme not just intellectually but on a tightly-controlled cash flow basis. Variation from the established social norms are not tolerated. Everyone knows their place. An interesting article by Jennifer Dolman of Osler LLP about their clients’ dreams: Who’s the fairest franchise party of all? Jennifer Dolman is a litigation partner with Osler, Hoskin & Harcourt LLP in Toronto. A frequent speaker and writer on franchise law, Jennifer has particular expertise representing franchisors on franchise disputes. She was named Toronto Franchise Lawyer of the Year by The Best Lawyers in Canada 2012 and a Franchise Times Legal Eagle 2012. Jennifer can be reached at jdolman@osler.com or (416) 862-5911. Advice: Have us fight for you in the shadows, and not in the light of day (ie. an ON Court of law). Being blackballed economically shows where the fascists work. To vote against, especially to veto the admission of. People shouldn’t take it personally. It’s how Big Franchising rides. 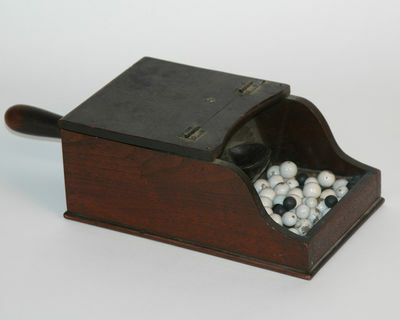 This 19th century ballot box helped coin the term “black ball.” The box was passed around and members chose either a white ball for a “yes” or a black ball for “no.” The balls were put in the funnel and collected in the closed portion of the box. The box was then opened and it took only one black ball to defeat the vote (or candidate). 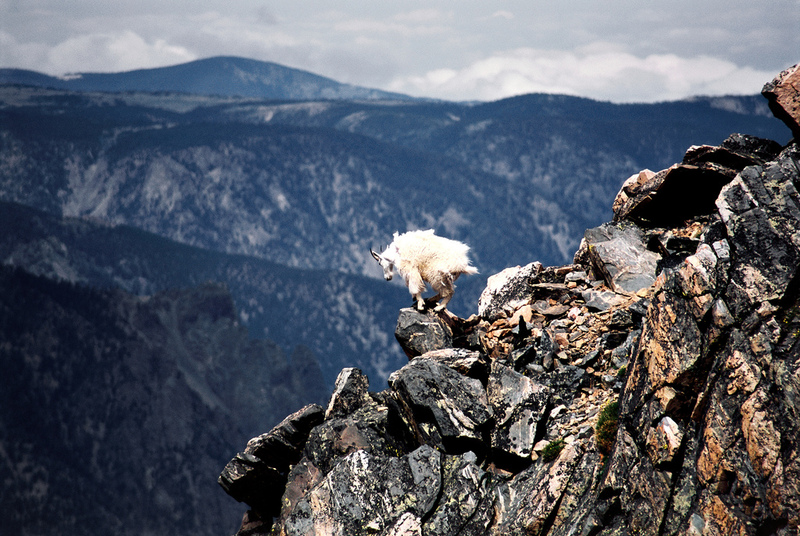 Are you a goat or a sheep? Most times it’s safer together. When the polarity reverses, that inverts. You are currently browsing the archives for the Big Franchising category.